← What a difference a year and eight days make! 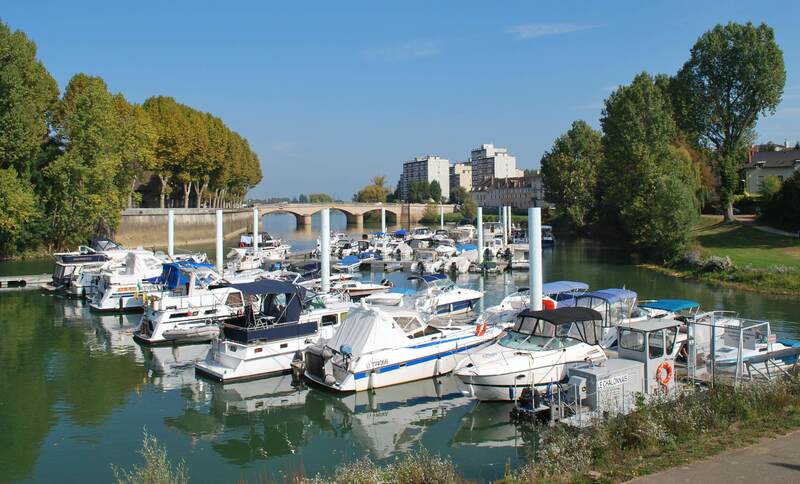 Yesterday was our first day at winter mooring in Chalon sur Saone. It’s perfect! We deserve it as we had to travel for 42 days, motoring 1525 km, go through 171 locks and 3 tunnels to get here! A lot of the time, we were under pressure to get to a point before they closed the canals. Why is Chalon so good? Chalon is a city of 44,847 people. It is an ancient city on a strategic crossing point of the Saone linking Geneva with Paris and the South of France with the North. 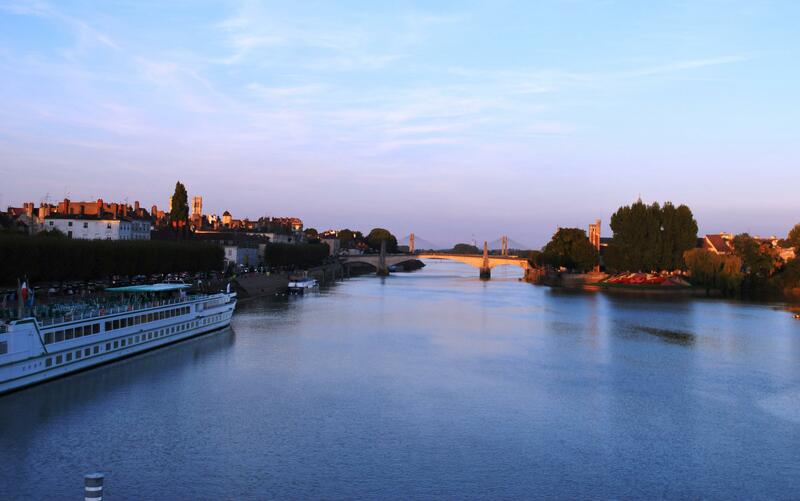 The city was first established by the Romans and they built the first bridge crossing the Saone. There is an island in the middle of the city and the marina is located behind the island. So, effectively we are living in the middle of the city and at very little cost. The marina is excellent and the staff so helpful, Thomas, Christophe and Claudia. We are so glad we decided not to sell the boat yet, as we could not have afforded this lifestyle if we had to rent accommodation in the area. There is so much to see and do in the area (when we come back from Ireland, we will have a car, so we can explore further afield). Chalon is in the Charollais area which is part of Burgundy. So you have the special breed of white cattle and famous Burgundy wines such as Bouzeron and Givry. So it’s an area steeped in a strong market gardening, vine growing and cattle breeding tradition which leads to great gourmet cuisine and a pleasant lifestyle. So far we have discovered that there is a large shopping complex within walking distance of the boat. When you have spent five months lugging food back to the boat by bicycle you get excited about these things! There is also a free bus service around the city, the starting point ½ km from the boat. There is a great swimming pool complex where we can go for a day for only €4.40 and use all the facilities including the sauna. On the island there is a street full of restaurants, all different types of cuisine including a range of traditional French, Italian, Chinese, Algerian and Moroccan. More than we will be able to get to, in four months. So if we are not careful our bank balances will shrink and our waist lines will grow. All this we have found after only two days. What more to discover! The weather is perfect about 25 degrees for the last few days and we don’t think it will get that cold in winter. 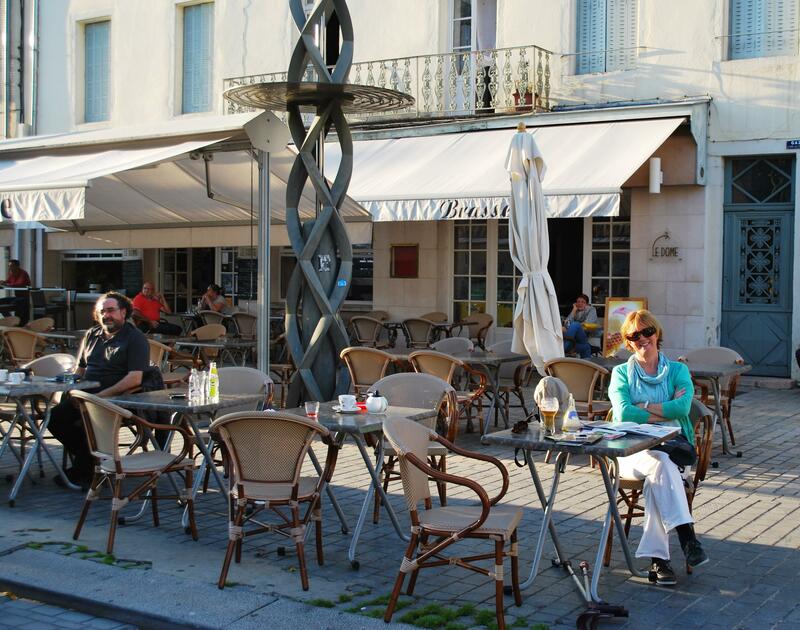 We have booked French classes and are so looking forward to settling here for the winter after the constant travel and immerse ourselves in the French way of life. So once again thanks to all the people who helped and advised us. We would not be here without the help and we feel so blessed! This entry was posted in front page, On the Journey, People We have Meet on the Gap Year, People who have helped us on our way, Places visited and tagged Bouzeron and Givry wines, Chalon, Chalon Marina, Chalon sur Saone, Charollais cattle, City Museum Chalon, St Laurent Bridge. Bookmark the permalink. Say Hello to Mike aboard db Ithaca – assuming they have let him stay for the winter!